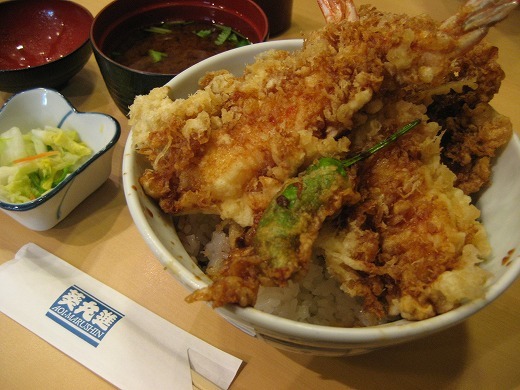 Tendon is a bowl of rice topped with tempura. Prawn is most popular ingredient for Tendon. I had tempura topped on the rice, are prawn, squid, kisu fish and sweet green pepper. It is poured with Tendon sauce which is made from mirin, soy sauce,etc. Founded in 1946, The Aoi Marushin(restaurant) is one of the popular restaurants in Asakusa. You can enjoy crunchy texture of their tempura.